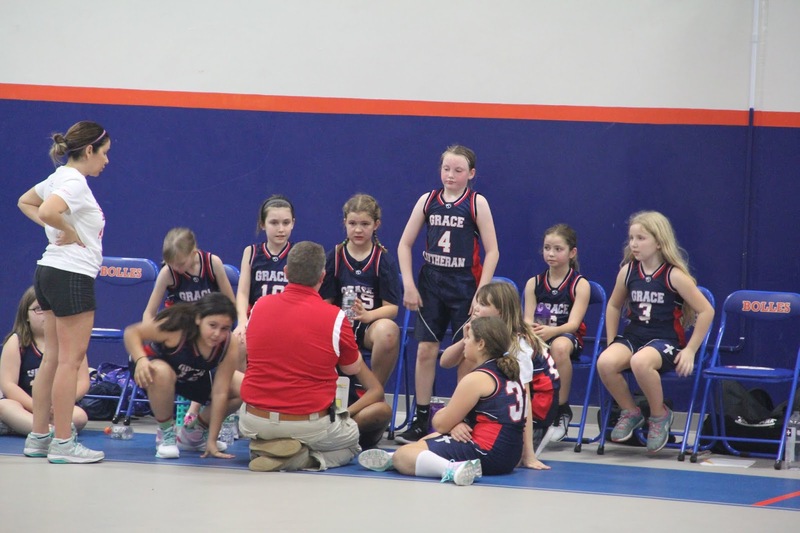 I had all these photos I took of my kids playing basketball for Grace Lutheran here in Jacksonville, but I never posted them to my main blog, so I figured I'd add them here. I am currently purging my Flickr albums because my free storage got nixed. Neither of my kids are tall, but they both work hard. Coaches did a great job getting kids a chance to play and gain experience. If you're looking for a private school in the East Arlington/Intracoastal West/Arlington/Mayport area of Jacksonville, then check out Grace. When I was my kids' age, I played alley basketball every day with my friend Mark at our neighbor Fred's hoop. I was never all that good at dribbling or outside shooting, but I could finish in so many ways near the hoop, even against guys a foot taller. My big city middle school did not have a basketball team, but we played a lot in gym class. It was important to one's status at my school how well you played, and I earned a good reputation for what I could do. That said, my friends who attended local private schools gained real game experience. I really enjoyed my two years of playing in the Lutheran youth basketball league while in high school, but I had to be taught how to box out, play zone defense, run in a motion offense, and most other skills my kids are learning early on. I was really only good at jumping high and throwing deep outlet passes from playing in gym. My kids will at least learn more about how the game works, giving them a better chance to play in high school if they want. 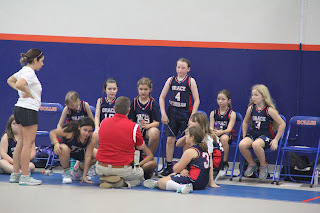 Here's a link to the Grace Lutheran JV Girls team photos. 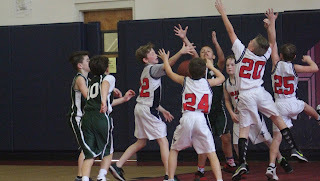 This link is for the Grace Lutheran Eagles JV Boys team. And as always, if you are part of a local private school or church in need of a website, let me know. I build websites much nicer than this one for local Jacksonville businesses, schools, and churches. Adding photos of what your school does is very important for marketing, and setting up a big website or simple blog for the purpose is easier if you have some help.